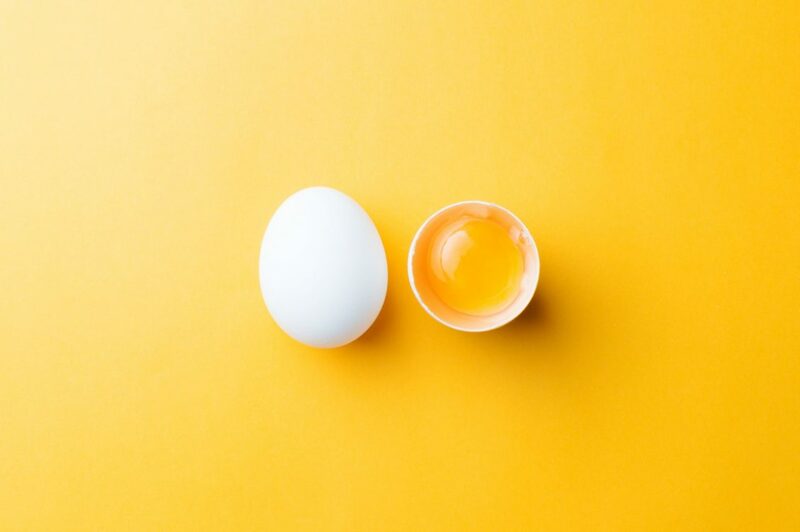 Now that a picture of an egg has become the most-liked post on Instagram, it seems we have reached peak social media. The egg’s success reflects a whole host of factors in the social media marketing space – not least that humour is key. More importantly, since the egg aimed to deride influencers (it explicitly said its goal was to beat Kylie Jenner’s existing record number of likes with its unassuming self-portrait), it’s indicative of the fact that consumers are getting wise when it comes to what’s being presented to them online, and of the degree of cynicism with which some influencer marketing activity is met. That said, brands are still proving daily that influencer marketing can be a powerful way to reach new audiences and convert customers – if it’s done right. So how do you harness success while staying on the right side of consumer sentiment? As with anything, it’s a good idea to look around at what others are doing and reflect on what works and what doesn’t. That way, you can learn from their mistakes and replicate successes. Looking to big brands for inspiration, Microsoft partnered with National Geographic and travel photographers for its campaign ‘Make What’s Next’. The campaign’s aim was to encourage women and girls into Science, Tech, Engineering and Maths (STEM) – with Microsoft products being their future tools of choice, presumably. Using Nat Geo’s storytelling prowess combined with Microsoft’s tech leadership (and their huge combined reach), the brands featured thirty women working in STEM in a series of powerful photos, captioned with their stories. The photos earned 3.5 million likes in a single day, with 150 million digital impressions. This worked because Microsoft aligned itself with a positive cause which was relevant to its brand values and its customers. It put the women’s stories centre stage, being authentic about the cause first, before sales. What’s more, it was timely – launching on International Women’s Day. But it’s not as easy as aligning yourself with a good cause and riding the momentum. That relevance is key, as Pepsi found out in its partnership with Kylie Jenner. It hit a bum note with consumers by alluding to the Black Lives Matter movement, in an ad showing Jenner diffusing a protest by handing a can of pop to a policeman. While Microsoft can legitimately say it contributes towards encouraging women into STEM, can Pepsi really say that it makes any real impact in promoting equality? Consumers were quick to point out that it couldn’t. On a smaller scale (and micro influencers are big right now), Audible followed this same rule of relevancy and authenticity by its partnership with photographer, Jesse Driftwood. At the time, Driftwood had a five-figure following on Instagram, so worlds away from the millions wielded by the Jenner and Kardashian clan. Jesse simply posted a good quality photo of himself with his headphones on, and explained that a big part of his art is to continually learn and develop. He told his followers how he often listens to audio book while on shoots or travelling between locations, and clearly marked his post with ‘#ad’. Audible favoured Jessie’s highly engaged fans over working with an influencer with a greater number of followers, relying on the fact that Jesse’s position as a respected expert in his field would likely lead to more direct action taken on the back of his recommendation. Being honest and open about the fact that he was being remunerated for the post was a key factor in how Jesse’s content came across as genuine. Although we don’t know how many actions he drove, the sponsored image got over 11,000 Likes and more than 300 comments. While influencer marketing is nothing new (Pelé’s World Cup final antics in 1970 put Puma in front of millions of pairs of eyes), it has certainly come a long way. However, it remains an area of digital marketing where regulations have failed to keep up with practice (or at least failed to communicate the guidelines clearly), so brands sometimes find themselves in no man’s land when it comes to how to do it ‘right’. There have already been landmark cases that indicate a general direction when it comes to how to work effectively and honestly with influencers. A Snickers campaign was the first influencer marketing activity on Twitter to see involvement from the Advertising Standards Agency (ASA), after celebrities including Katie Price and Rio Ferdinand posted tweets that seemed unlike their public personas (Price was tweeting about economics and politics), which were only later revealed to be part of the campaign ‘You’re not you when you’re hungry’. While the ASA eventually cleared the campaign, the damage had already been done to the brand reputation, and some of Katie Price’s followers were doubtless left with a sour taste. More recently, a raft of influencers volunteered to be more open about their practices after the Competition and Markets Authority (CMA) issued a warning that some posts could be breaking consumer law. It’s important to keep ahead of the curve when it comes to best practice and regulation, to protect your brand reputation, and ensure whatever investment you make in influencer marketing is going to benefit and boost your brand, rather than inflict damage on it. Consumers are reading and hearing more and more about these sorts of gaffs (not least in the hit Netflix documentary, Fyre, which is said to have severely “burned” the reputation of influencers and influencer marketing), so it’s no longer just the marketing community that will be interested to hear when mistakes are made. As part of the CMA’s work on influencer marketing, it is also looking at how social media platforms can help to promote greater transparency around these sorts of activities. Be sure to make the most of these sorts of tools as and when they become available. Facebook has a brand collaboration manager tool available on limited access, allowing brands to set up an audience to see what percentage of a ‘creator’s’ (i.e. the influencer’s) audience matches their goals, find new influencers and contact them to talk about collaborating. Not only will this help to eliminate any waste in an influencer marketer’s budget, but any content created through the platform will be clearly labelled as a ‘paid partnership’, integrating the sort of transparency that the regulatory bodies are calling for right into the post. This development came to Facebook hot on the heels of its other brand, Instagram, which has had it’s ‘paid partnership’ feature widely available since the latter half of 2017. The feature allows influencers to clearly denote when something’s part of a paid partnership, while brands can get additional insights into campaign performance. As it becomes clearer how platforms want this sort of content to be posted, in line with the consistency that industry bodies are calling for, there will become less margin for error. So use the tools available to do things by the book and keep your activities low-risk. Good influencer marketing can provide a massive boost to brands, without risking brand or influencer reputation. Now that consumers, industry bodies and social media platforms alike are trying to form some semblance of protocol, brands simply need to follow principles of transparency, relevance and authenticity to succeed.